Under the direction of the ERB’s Chairwoman Prof. Britta Schmalz, the annual meeting of the ERB group will be held at TU Darmstadt on 08 April 2019. The Euromediterranean Network of Experimental and Representative Basins is an open network of 22 European countries operating and managing long-term well-instrumented experimental and representative basins for hydrological and ecological research. Hence, the ERB provides a substantial contribution to the objectives of UNESCO-IHP. 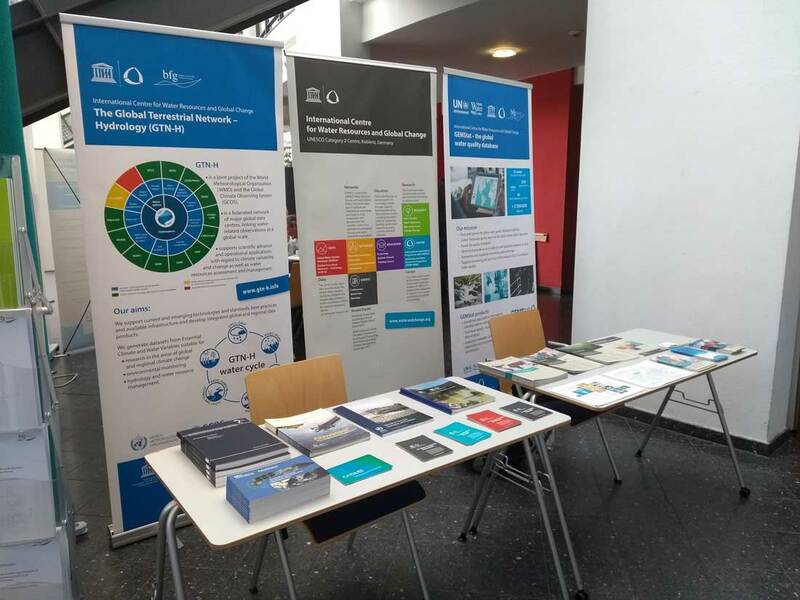 Under the motto “Information and Organisation in Hydrological Research and Practice“, this year’s Hydrology Day was held in Karlsruhe from 28­–29 March 2019.The conference was divided into the subject areas “data-based learning and information” as well as “organisation and similarity of hydrological systems”. As in the past, the ICWRGC presented its latest activities at its own stand. Within the scope of session 2: data storage/data provision, Dr. Stephan Dietrich also gave a lecture on the state of the art of global assessment of hydrological data. 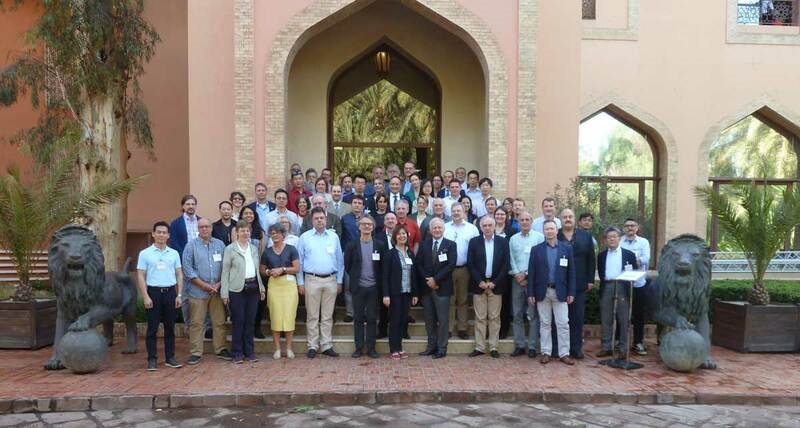 The GCOS Joint Panels Meeting of the Global Climate Observing System will be held in Marrakech, Morocco from 18-22 March 2019. At the meeting, Dr. Stephan Dietrich from the ICWRGC represents global in situ monitoring of the water cycle within the scope of GTN-H coordination (Global Terrestrial Network for Hydrology, gtn-h.info). The Centre also supports the meeting by means of a keynote on the current monitoring state of the global water cycle. The Federal Ministry for Economic Cooperation and Development (BMZ) extends an invitation to attend the Water Stakeholders‘ Forum in Berlin on 21 March 2019, the eve of the UN World Water Day. The agenda includes the implementation of the BMZ Water Strategy, current priorities of the BMZ in the water sector as well as this year’s motto of the World Water Day “Leave no one behind”. The ICWRGC will be represented at the stakeholder forum by Philipp Saile, the coordinator of the GEMS/Water Data Centre, and will actively contribute to the working group “New partnerships to establish SDG 6 operator and multi-stakeholder partnerships”. 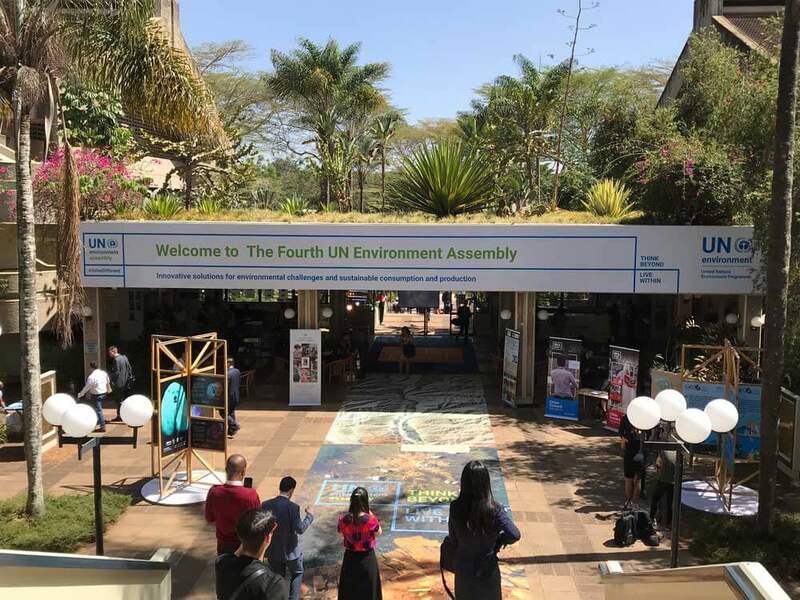 The fourth session of the UN Environment Assembly (UNEA-4) took place from 11-15 March 2019 under the overall theme ‘Innovative Solutions for Environmental Challenges and Sustainable Consumption and Production’ in Nairobi, Kenya. In the lead-up to the UNEA, the second UN Global Science-Policy-Business Forum on the Environment convened from 8-10 March 2019, whose recommendations are expected to inform UNEA and the UN’s work on the SDGs and the Paris Agreement on climate change. Science-Policy-Business Forum: Official launch of the global water quality information system GEMStat during the session “Monitoring Ambient Water and Air Quality: Launch of GEMStat Data Interface”: Besides interactive maps and data visualization, the revised system provides identified access to water quality data. In addition, the GEMS/Water team hosted a booth during UNEA-4 and presented its latest activities to delegations as well as to existing and potential partners of the GEMS/Water network. 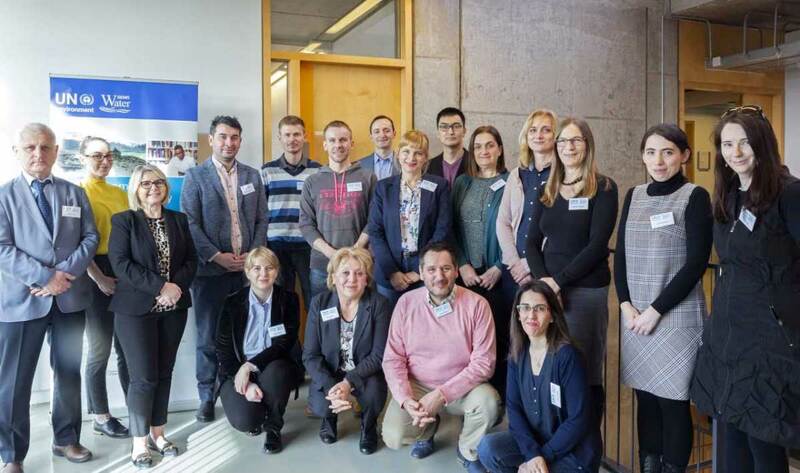 The first GEMS/Water Scoping Workshop for Eastern Europe and Central Asia, titled “Ambient water quality monitoring: current status and opportunities for global engagement and SDG indicator 6.3.2 reporting”, was held in Cork, Ireland, from 05-07 March 2019. It was organised by the GEMS/Water Capacity Development Centre (UCC College, Cork). The workshop aimed at rendering the technical aspects of water quality monitoring for management tasks more tangible to the participants, and at presenting the work of GEMS/Water in the field of water quality monitoring of SDG indicator 6.3.2. Further objectives included identifying the capacity development need for water quality monitoring in Eastern Europe and Central Asia, as well as establishing a closer exchange with the national contacts of the GEMS/Water Programme in the relevant regions. Eleven water quality experts from both regions attended the workshop and gave an interesting overview of the water quality monitoring situation in their countries. Dmytro Lisniak represented the GEMS/Water Data Centre and contributed to the workshop with lectures on data management and data supply. 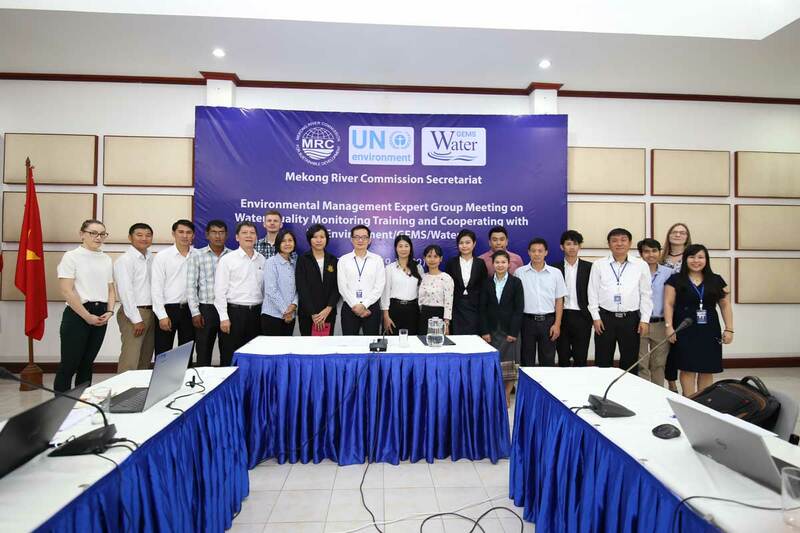 An expert group meeting on environmental management, organized by the Mekong River Commission (MRC) and the GEMS/Water Capacity Development Centre (UCC College, Cork), was held in Vientiane, Laos from 19-21 February 2019. Regional experts from the four member countries Laos, Cambodia, Thailand and Vietnam gathered with experts from the UN Environment GEMS/Water Programme to discuss the 2017 Regional Water Quality Report of the Mekong River. Prof. Deborah Chapman and her colleague Katelyn Grant from the GEMS/Water Capacity Development Centre, together with Dmytro Lisniak from the GEMS/Water Data Centre of the ICWRGC, elaborated on approaches on water quality monitoring, data management and data analysis. In this process, several topics were identified that will be addressed during specific training workshops in the future.